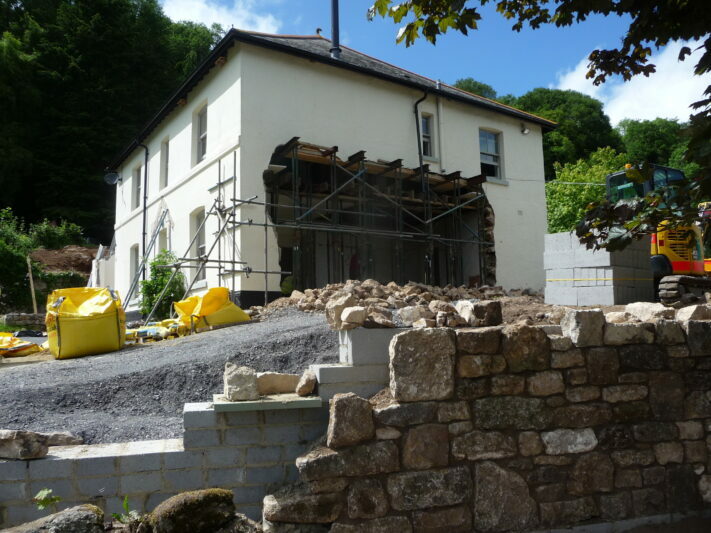 The substantial remodeling and extension of Leigh Farm has begun in earnest. 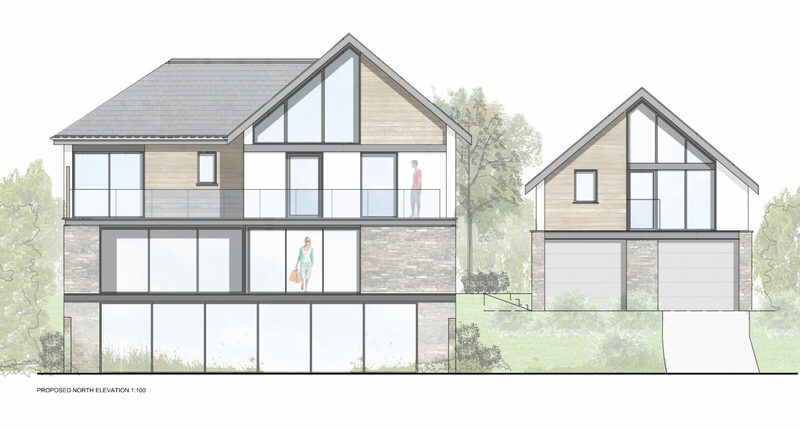 Construction has begun this summer for van Ellen + Sheryn’s proposals at Leign Farm. 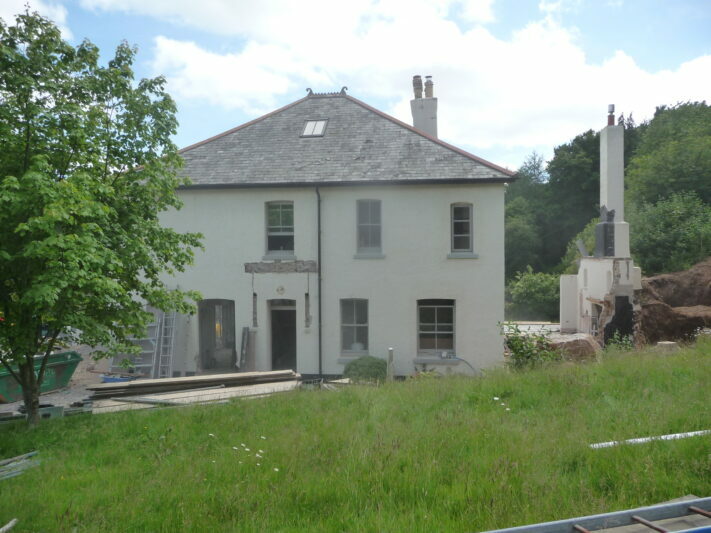 The contractor has already removed the unwanted existing extensions and created the large openings ready to build the new additions. 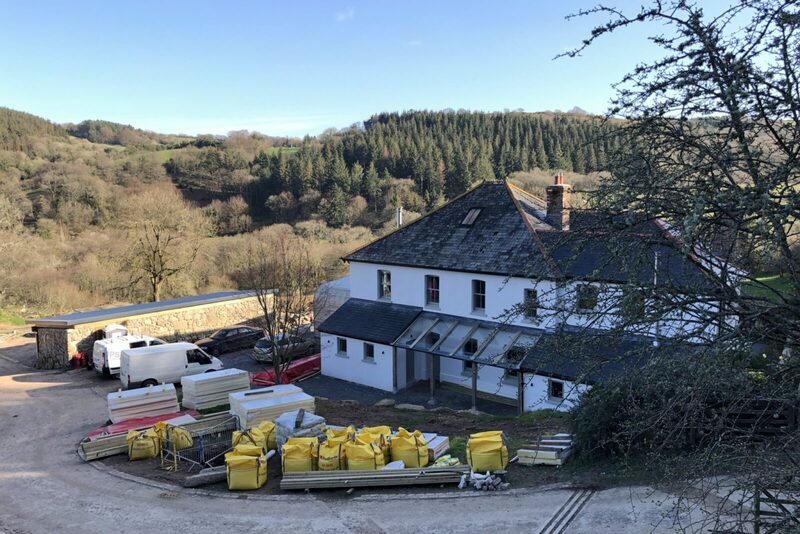 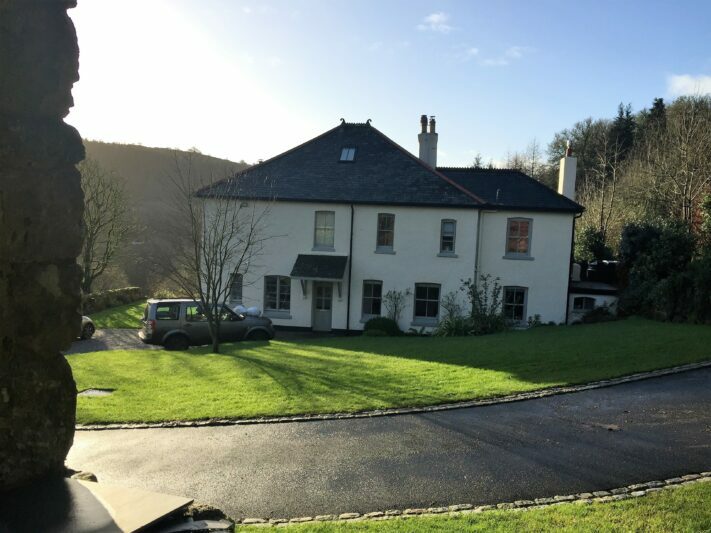 The farmstead is located in a secluded wooded valley near Moretonhampstead, and along with the group of 18th century barns is considered an important heritage asset to the Dartmoor National Park. 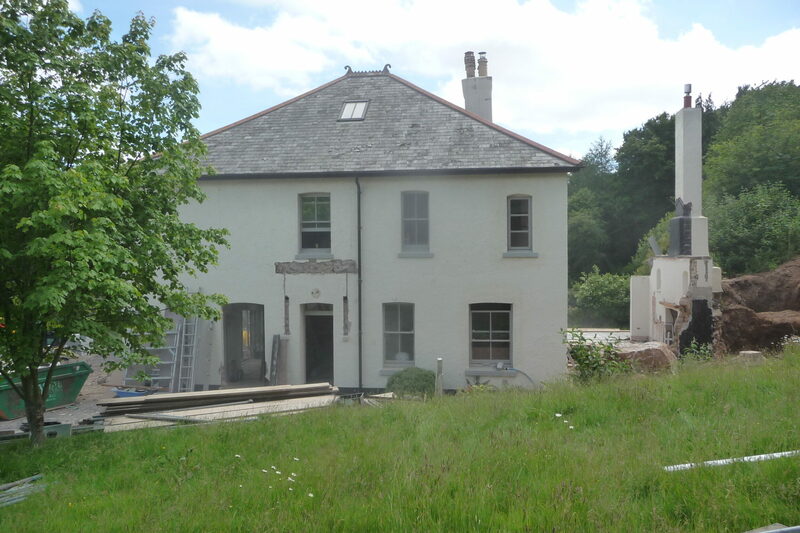 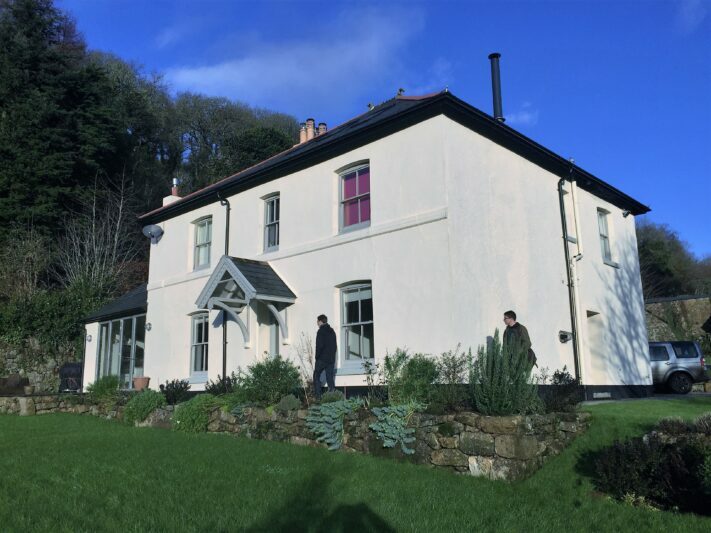 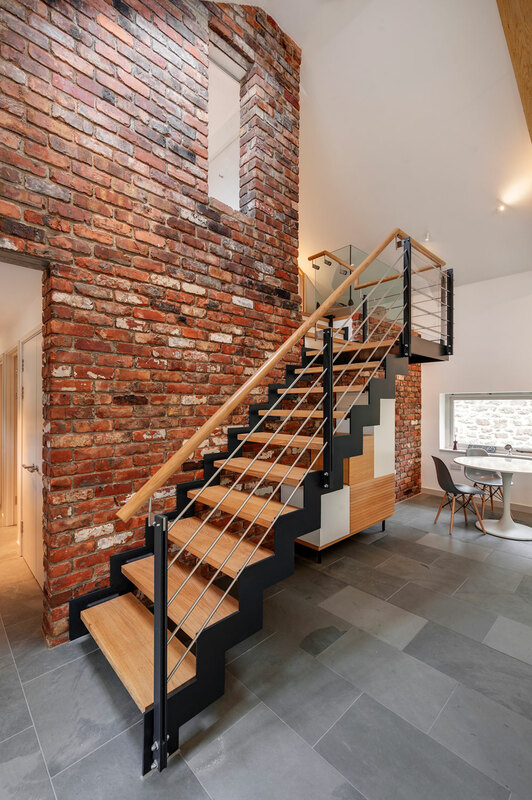 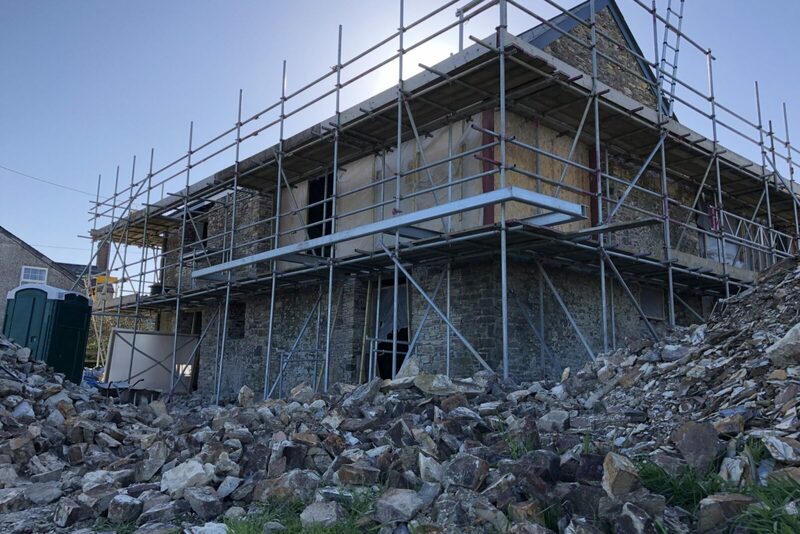 As well as the substantial remodeling and extension of the main farmhouse, the works include the refurbishment and conversion of two 18 century barns, which will be commenced in the spring of next year. 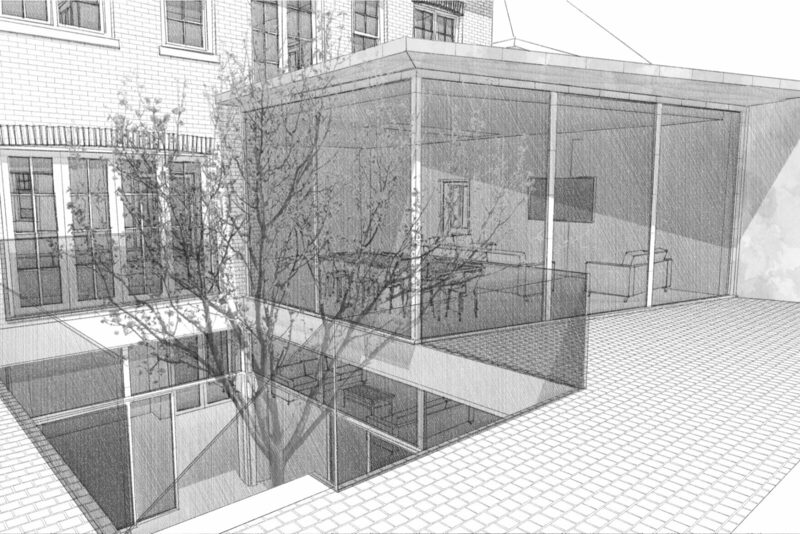 As part of the current building phase, a new contemporary extension will be built off of the opening created on the eastern elevation (above and below images). 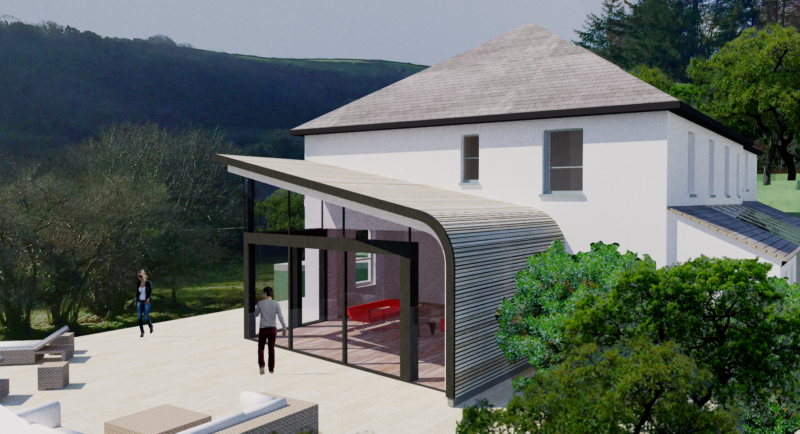 The concept for the glass extension developed through the farmhouse’s lack of connection to it’s garden and views out to the valley beyond. 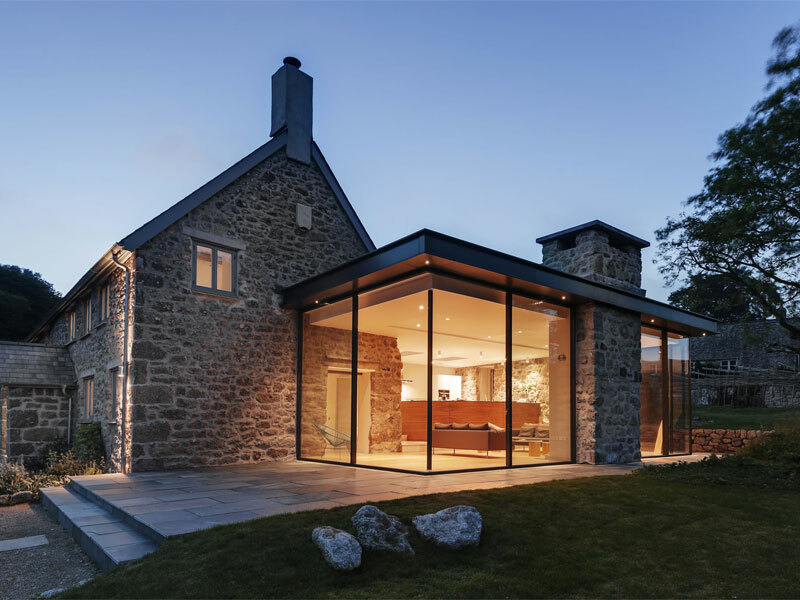 The proposals look to break open the solid stone wall facing the views, and combine and double the size of the two existing small rooms to create one large living space. 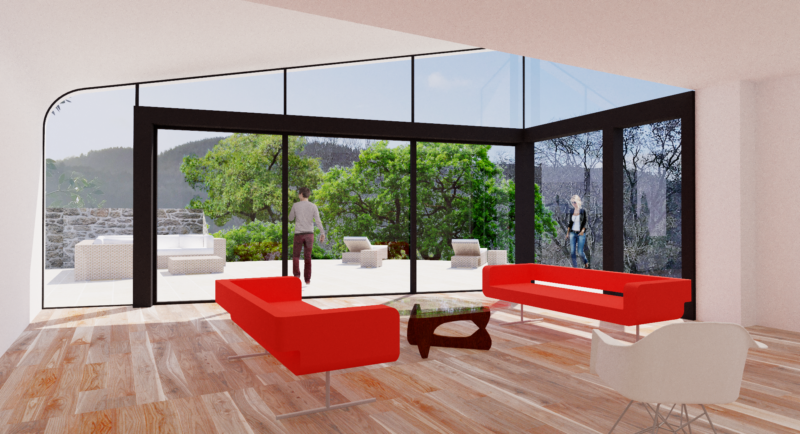 This would be enclosed on two sides by floor to ceiling glass which is orientated in the direction of the key views; whilst a solid rear wall would rise up and ‘wrap’ over the glazing to complete the space. 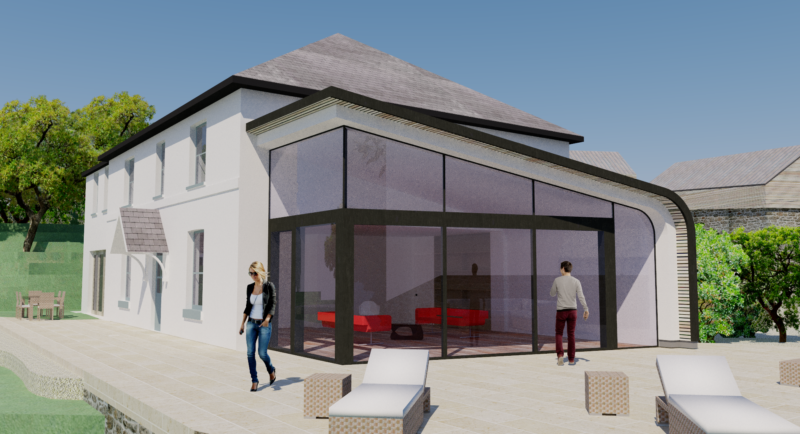 Large sliding glass doors to be installed by South West Glass and Glazing will allow the space to open up to the new garden terrace, whilst structural glass above will make the roof appear to float. 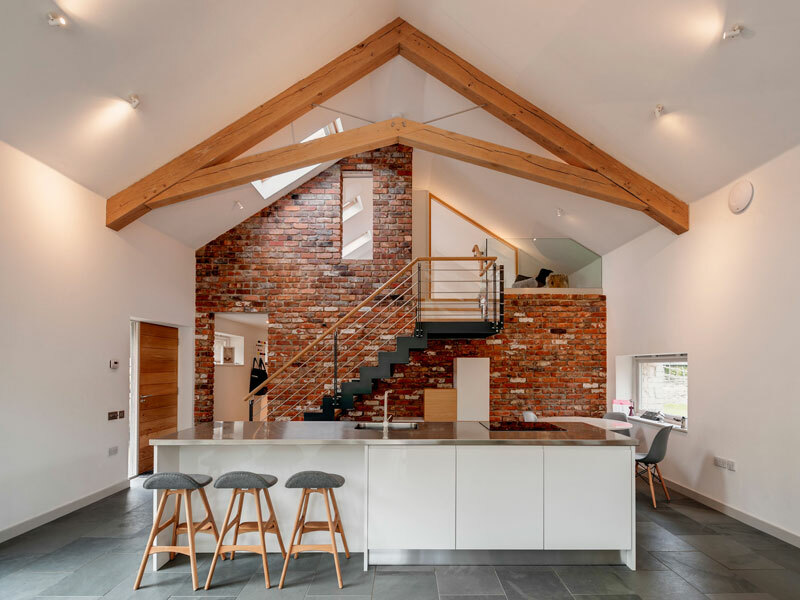 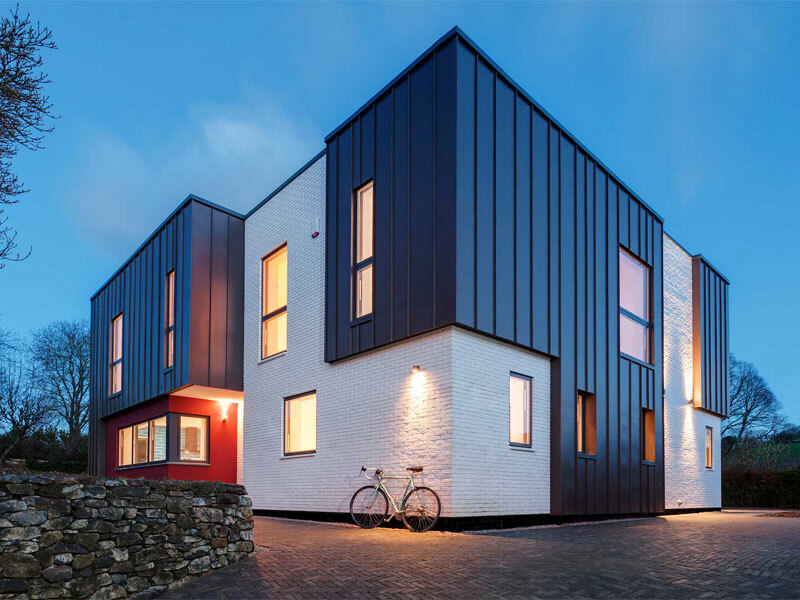 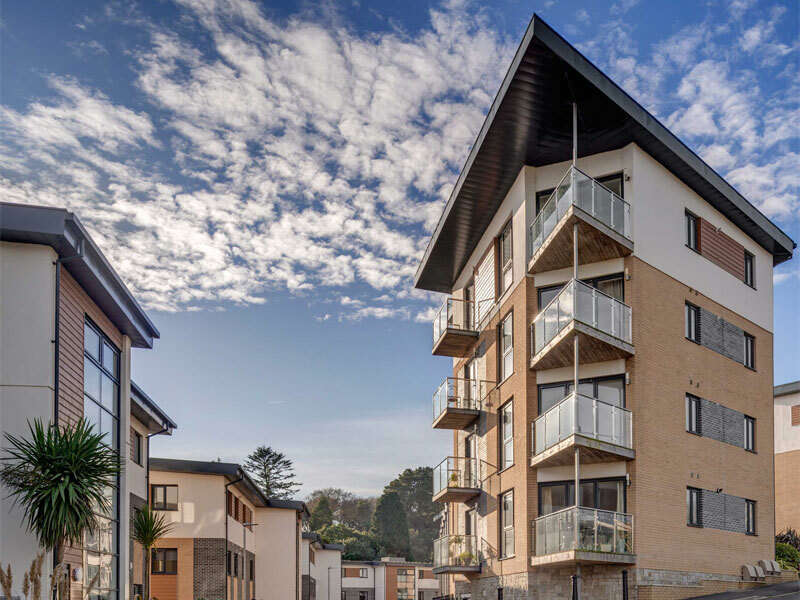 The unusual use of timber cladding to form the wrapped surface, a material usually restricted to walls, heightens the sense that the wall surface is warping and wrapping up-and-over the glazed volume.